It is an offer to discover, experiment, and create from the book: AIXÒ ÉS UN ARTISTA! Alexander Calder, by author Patricia Geis. 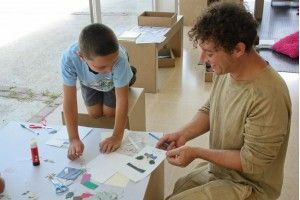 We offer a ludic proposal where families have the opportunity to know one of the most influential sculptors of the 20th. As did Alexander Calder, we will play, discover and experiment to get our own creations. Registration will close on Wednasday, November 12th. To reserve a place, please fill in the registration form, or by telephone at 93 885 37 04. Limited places. Enrolment will be confirmed once payment has been received.